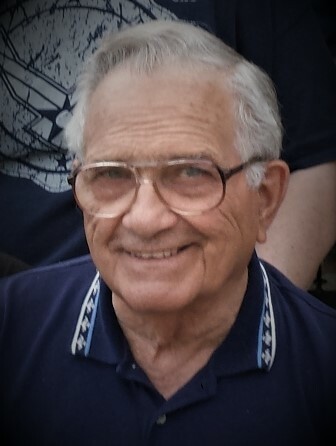 Ernest "Ernie" E. Amick, age 78, of Elwood, passed away on Thursday, August 16, 2018 at St. Vincent Mercy Hospital. Ernie was born on May 14, 1940 in Jeffersonville, Indiana to the late Charles and Martha (Swift) Amick. On December 31, 1999 he married the catch of his life Catherine "Cathy" Elizabeth(Bond) Amick. Ernie retired from Steel Parts in Tipton, In where he worked in Quality Control. He was also formerly employed at Excell-O Corp, butcher/meat cutter at Marsh Supermarket, and he owned and operated "Ernie's Greenhouse "and "Amick's Excavating”. He was formerly a member of the Elwood Jaycees and was affiliated with Anderson Church of Christ. He was very well known in the community and never met a stranger. Ernie could often be found as his regular table at the Airport Restaurant drinking coffee, joking with friends, and harassing the staff. He enjoyed going fishing, working in his garden, and tending to his flowers and. Above all else, Ernie cherished time spent with family, especially the jewels of his heart, his grandchildren and great grandchildren. Ernie Is survived by his loving Wife, of 19 years, Cathy (Bond) Amick of Elwood, children, Kathy Amick, Karen & Larry Arnold, Kris & Jim Smith, Ed & Ann Amick, Kim & Will Williams, Ernie Jr. & Jennifer Amick, Kerry Amick, Erick & Brandon Amick, Amy Clark and Chase Bond. Grandchildren, Anna & Rick, Amanda & Dustin, Nick & Jessica, Greg, Tim, Stephen, Kerstin & Jeff, Abbey, Corey, Hannah & Jake, Lauren, Matthew, Sydney, Sebastian, Solomon, Kylie, Karson and Charlotte. Great-Grandchildren Orion,Jordyn, Kaleb, Lydia, Addison, Bayne, Xzavier and Aaliyah. Ernie is also survived by his first wife Sharon Canaday, Brother, Lee & Nancy Sexton, Sister, Peg & Bill Titley, Sister, Betty Spaulding, and Sister Lana & Phil Henry. Ernie is etched in the hearts of those who loved him most, and he will be truly missed. Ernie was preceded in death by his Father, Charles Edward Amick, Mother, Martha Jane Sexton, Sister, Bonnie Wittrock and Grandsons Gabriel & Raphael Amick. Funeral services celebrating Ernie's life will be on Monday, August 20, 2018 at 2:00 PM at the Dunnichay Funeral Home with Evangelist Carl McMurray officiating. Burial will follow in the Elwood City Cemetery. Visitation will be Monday, August 20, 2018, 12:00 pm - 2:00 pm, at Dunnichay Funeral Home, 1113 S. Anderson Street, Elwood, Indiana.